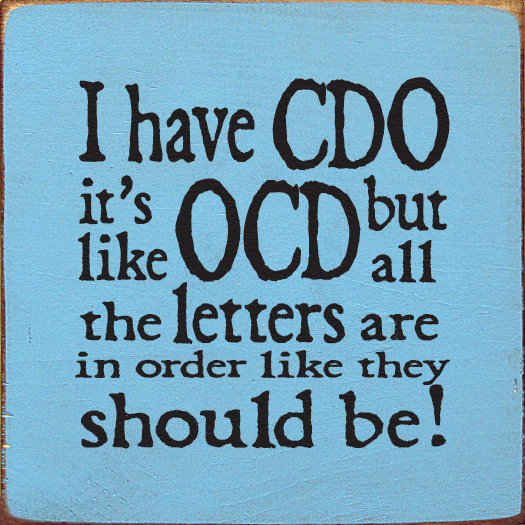 I grew up around OCD. My father had it quite bad, although my mother always assured me that it was better than it had been before I was born. We were never on time for anything and change was the enemy. At the age of 10 I noticed my first symptoms; I started having to touch things repeatedly and worried that if I didn’t bad things would happen. I also started to hoard things because I couldn’t bear to let them go. I recognized the problem quickly and vowed to “fix” myself. Within a couple of years the compulsions were gone. I had worked really hard and caught it early, so I thought I was cured. What I didn’t realize was that all the small things my dad had ingrained into my impressionable brain were going to be harder to brush off.